After a lovely week with family in California, I’m pulling a solo couple of weeks again, while Tony and the kids spend some more laid-back grandparent time. Fortunately, it’s not summer this time around, so the lawn looks to be in a fairly dormant state (which for Florida means bright green still, but not shooting up like a jungle). So I don’t think I’ll have to mow it, which is good, because I hate mowing the lawn, it takes me forever, and I’m terrible at it. I may trim the bushes, which I actually enjoy, and which by itself goes a long way toward preventing our house from turning into The Haunted Mansion. I stuck the unused breakfast in the fridge when I got home, and then enterprisingly took it to work the next day, realizing only belatedly that I should have smelled it first. When I opened it to take a swig, I was assaulted by the heady aroma of highly fermented milk. And not fermented in a trendy, health-food way either. More like a milk-left-out-on-the-counter-for-ten-hours-even-if-it’s-amond-milk-spoils kind of way. I know, I know. Cue food safety lecture. Today I actually made it out the door with my (freshly made) breakfast smoothie. Precariously balancing my lunch bento, my green lunch smoothie (OK, I’m into smoothies), and my breakfast smoothie, I turned to responsibly lock the door, recalling that there would be nobody in the house all day. The lock is a little sticky, so turning the key requires some force. 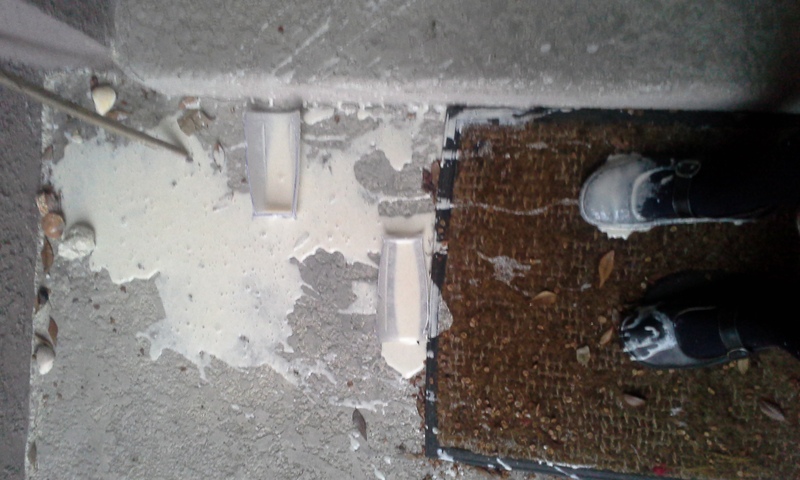 Unfortunately, the force required sent my breakfast smoothie tumbling to the ground, where the plastic blender bullet bottle shattered, spilling breakfast smoothie all over my front porch, my welcome mat, my shoes, and my feet. As you can see, my first thought was that I should take a foot selfie so I could at least get something out of the situation by blogging about it. Since I was now balancing only my lunch smoothie and lunch bento, I was able to easily re-open the front door. I removed my shoes and cleaned off the worst of the smoothie with a rag, but eventually determined it would be best to reserve the shoes for a more thorough cleaning at my leisure. Fortunately, seven wet wipes later, I was able to salvage my tights, which was good, since I knew that all my other black tights and leggings were dirty, so changing would have required me to change my entire outfit. (Maybe it’s time to do some laundry?) I put on another pair of shoes, and headed back out the door. I really need to stop doing this, because it resulted in my third straight day eating kit-kats out of the office candy jar for breakfast. Don’t tell my kids. With only a slight twinge of guilt, I left the puddle of slowly congealing smoothie on the porch. 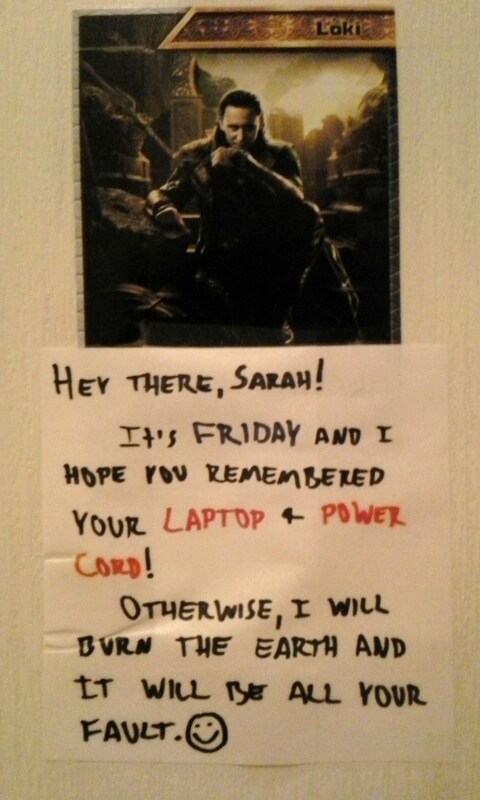 Nobody is likely to visit me and see it while I’m gone today anyway. By the time I pulled out of the driveway on my way to work, I was, of course, running rather late. So when I glanced behind me and saw that my garbage can (which I had forgotten to put out Monday morning) had been knocked over in the night, probably by a black bear, a gang of rabid raccoons, or a conglomeration of tortoises, armadillos, and opossums (thank you, Florida! ), I just left it. Tony, I love and appreciate you for many things, among which two of the more minor, but very present in my mind today, are that you always remember to put out the garbage, and that you spoil me by making me breakfast. But not everything is bleak. The breakfast smoothie disaster is now completely cleaned up, and the garbage can is upright with its contents replaced, hopefully to be put out and emptied (by waste management, not the local wildlife) this coming Monday. 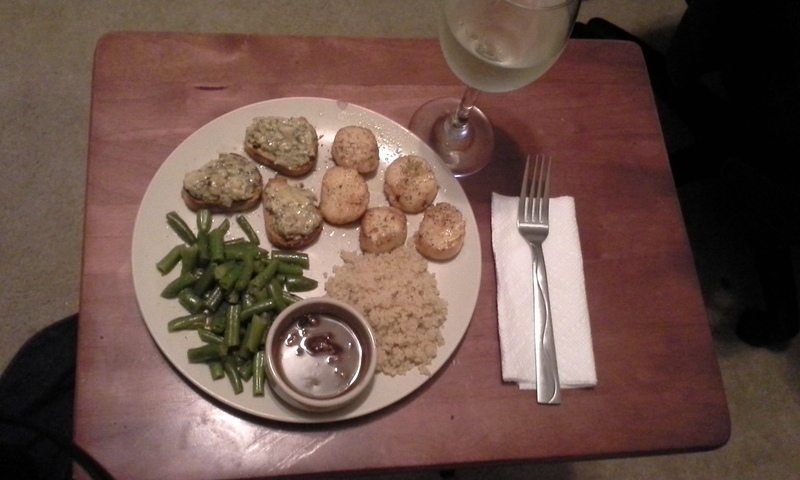 And this is me, ringing in the new year with seared scallops in white wine sauce (with a little more white wine on the side for good measure), quinoa, green bean salad, bruschetta with Trader Joe’s artichoke tapenade, and Battlestar Galactica. I’m actually rocking this whole living alone thing. Happy New Year to all, and to all a good night!